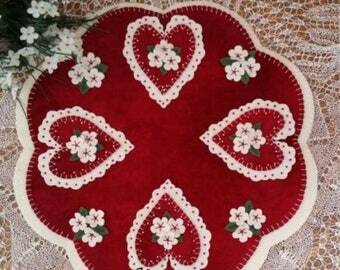 Lovely Spring design with a very vintage look. 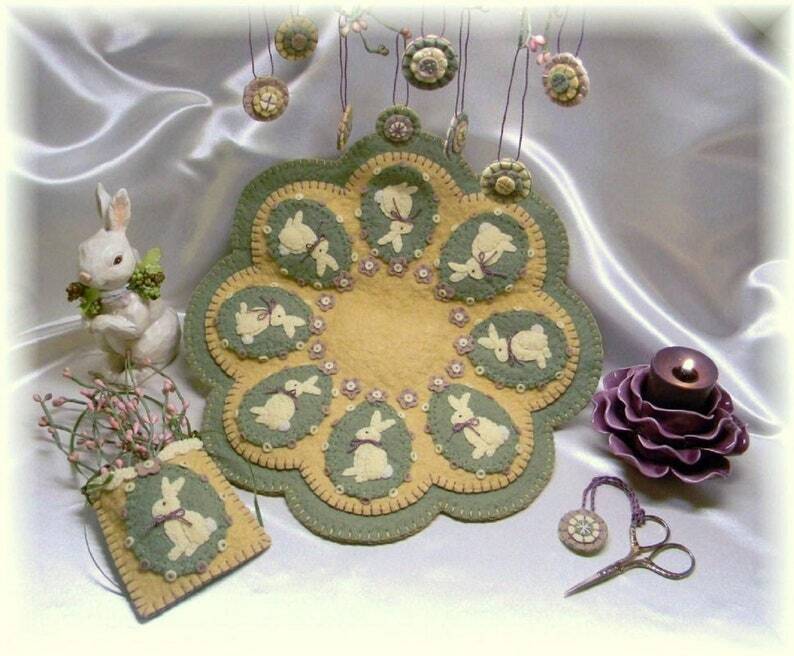 This candle mat with mini pocket and penny ornies will bring a warm, inviting feel to your Easter/Spring decor. Fun to make and so very pretty! The ornies make great little Easter tree decorations that you can stitch up in no time at all! Add one to your embroidery scissors for a nice touch. This kit contains all of the Merino wool blend felt you will need to complete this adorable candle mat, pocket and ornies. Paper Pattern or PDF pattern. Ribbon also included. 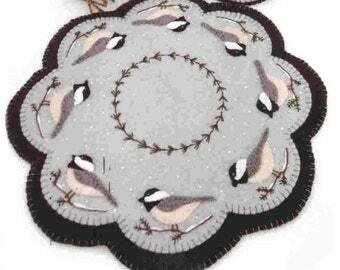 The candle mat measures approximately 13", and the adorable pocket measures, 3-1/2" X 4". The Penny Ornies measure 1-1/4". A sweet Spring decoration!